Are you at the top of your totem pole? Or do you want to be? 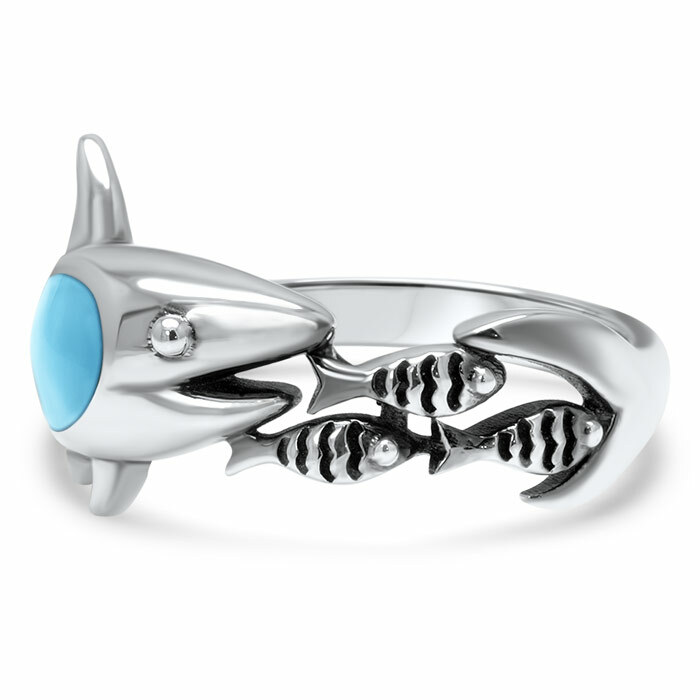 Our shark ring will be a fun reminder to get you there! 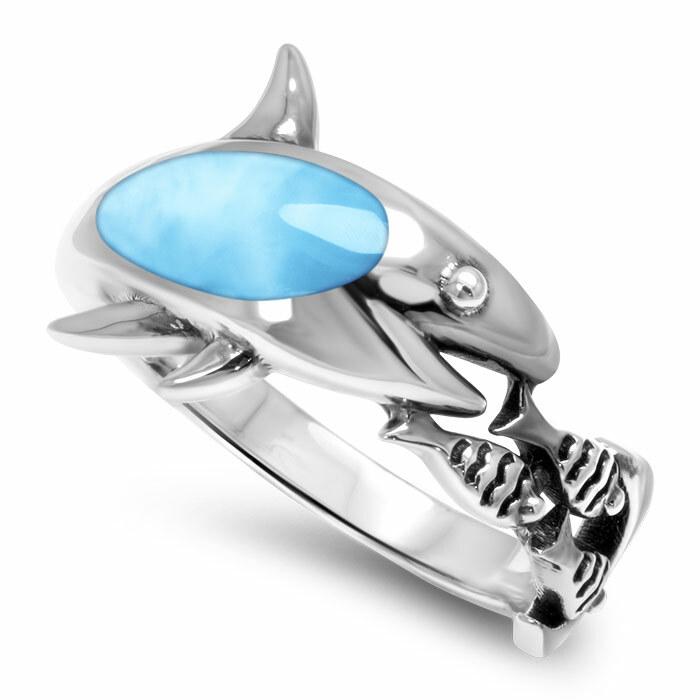 Fabulous detail of shark and fish wrap around your finger with inset larimar gemstone making a story you carry with you. Add your own meaning. 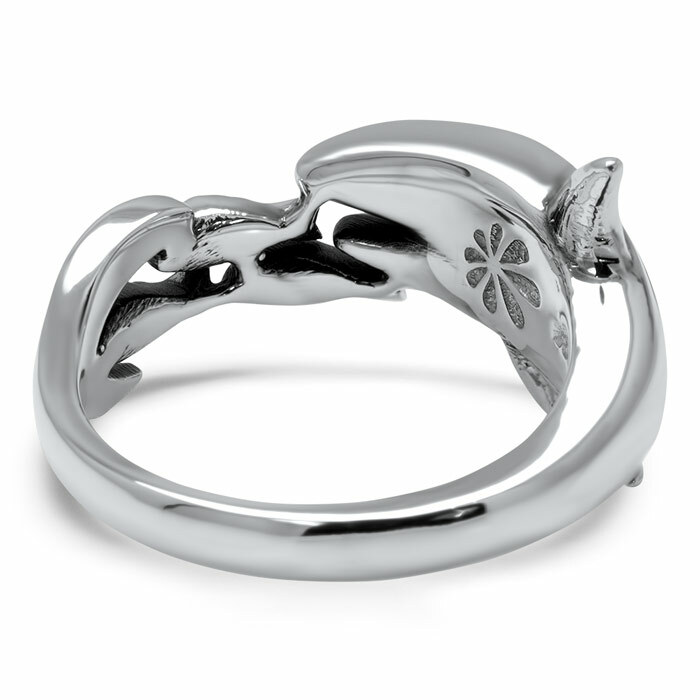 It will last forever! 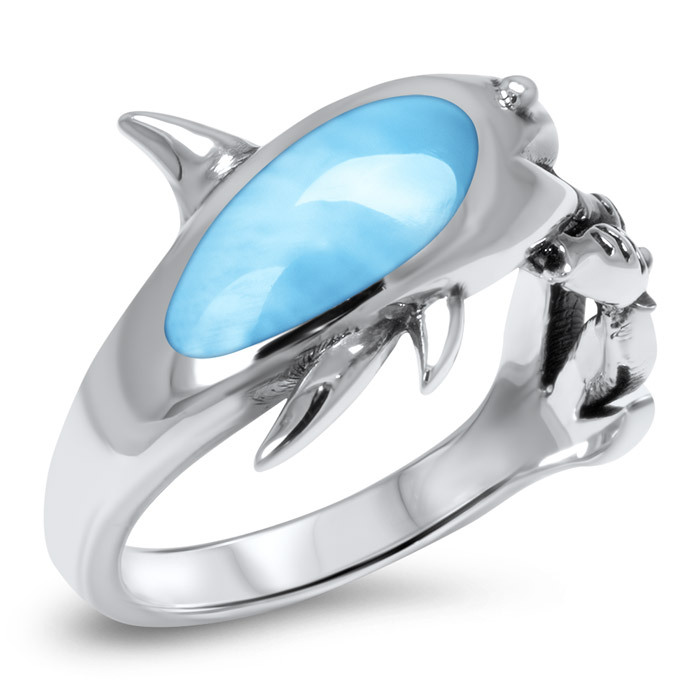 Product Details: 5x11mm larimar gemstone and sterling silver.